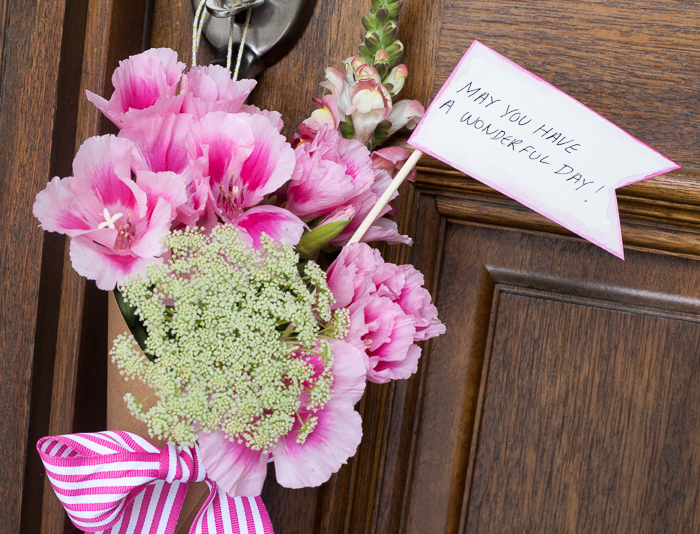 We love the centuries old tradition of delivering a small basket of flowers or sweets to neighbors on May 1st. 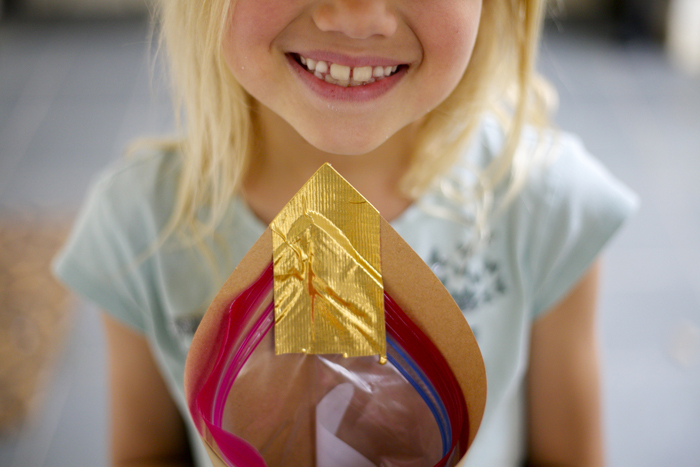 This year, in lieu of baskets, we created water-tight kraft paper cones with the help of Ziploc® bags. 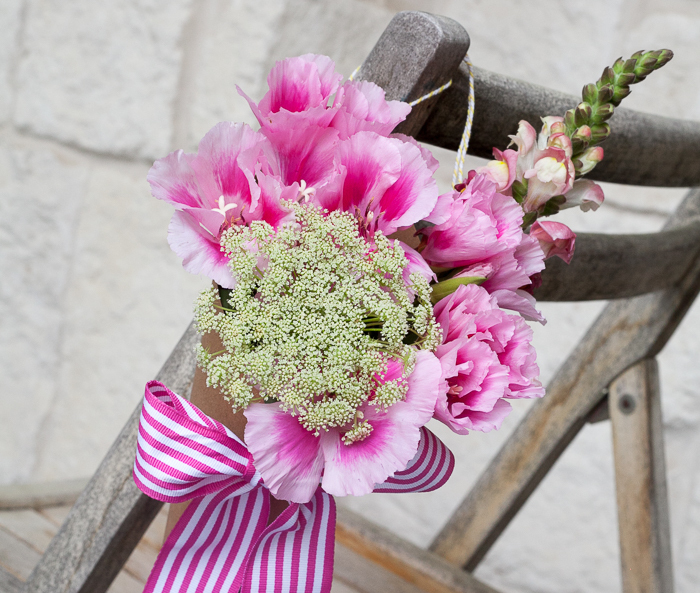 We can also picture these little beauties hanging on the chairs at your next garden party. The blooms will stay fresh for days right in their sweet packaging. 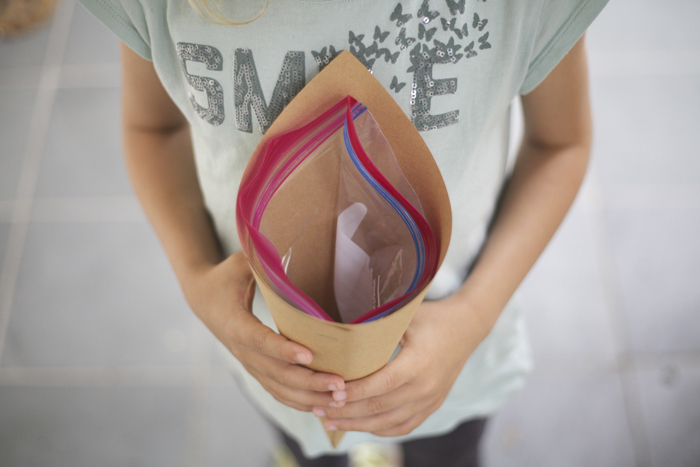 Here is how we made them with just a few materials that you probably already have at home. Quart Size Ziploc® Bags. Recycled is fine! 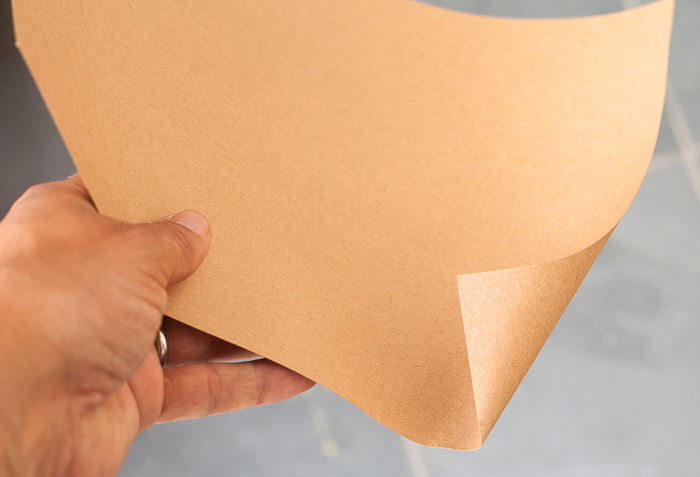 If using an 8.5×11″ sheet of kraft paper, hold horizontally and make the bottom point approximately 2″ in from the bottom right. Roll until one corner is at the top and a seam runs straight up the front. Staple in place. 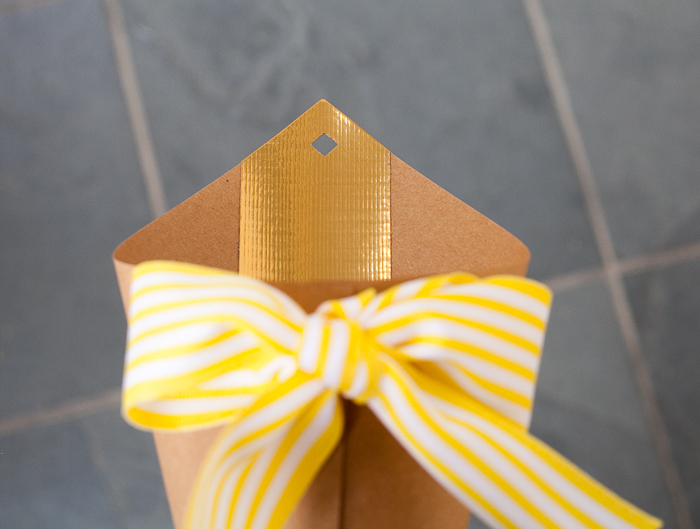 Add a length of ribbon to the front with a staple. 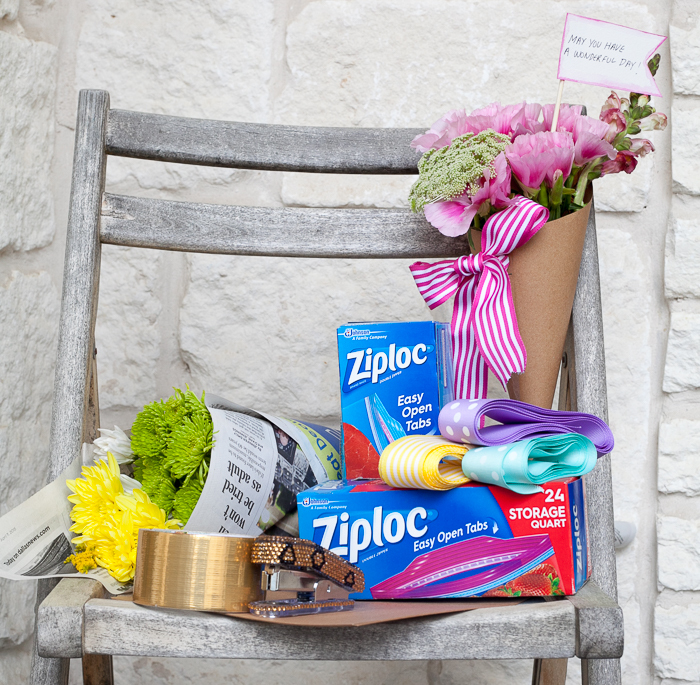 We used 18″ of 2″ grosgrain ribbon. Tie a pretty bow. We have a tutorial for that! 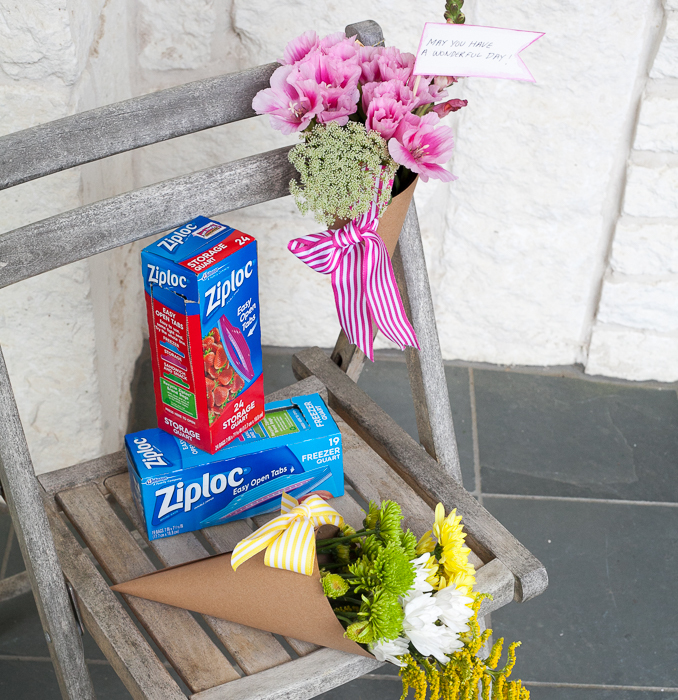 Grab a Ziploc® bag – quart size. 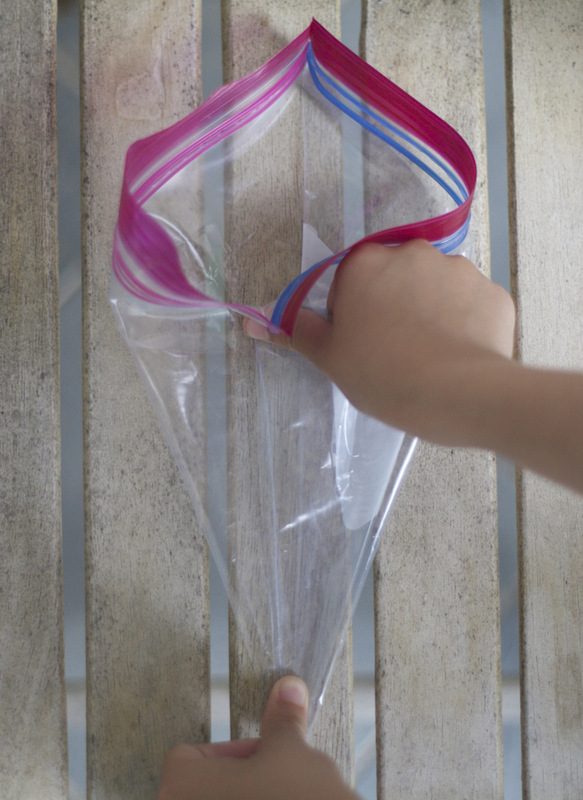 The Easy Open Tabs make the new bags even simpler to open. No rubbing the sides together to separate! They’re also easier for kids to handle when they are on the go or at school. Plus, each type of bag (storage, freezer and sandwich and snack) come with different color tabs. 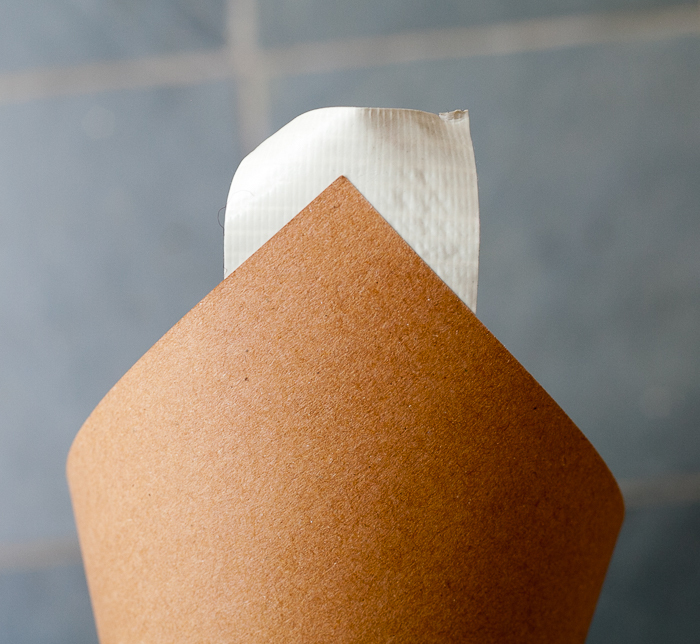 Here’s how we use one to make a water-tight liner for our paper cone. You can even rinse, dry and recycle one! Fold up one bottom corner. Open the Easy Open Tabs and squash flat. 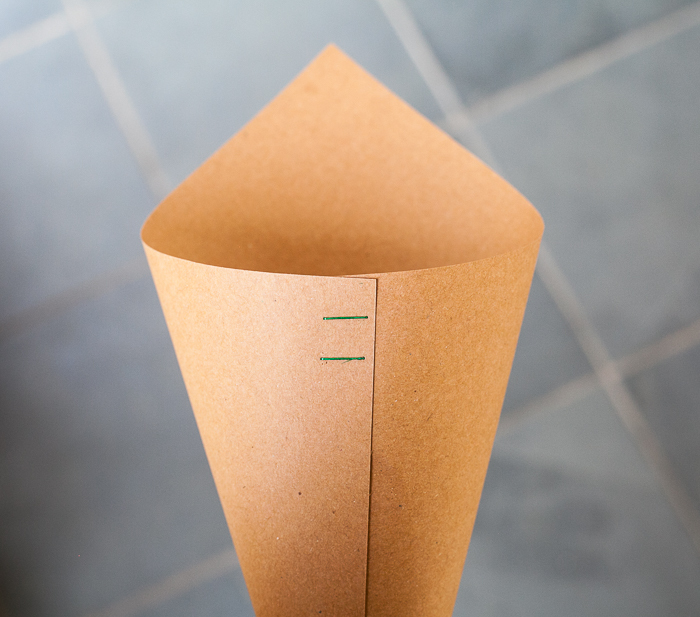 Place the plastic cone inside the paper cone. 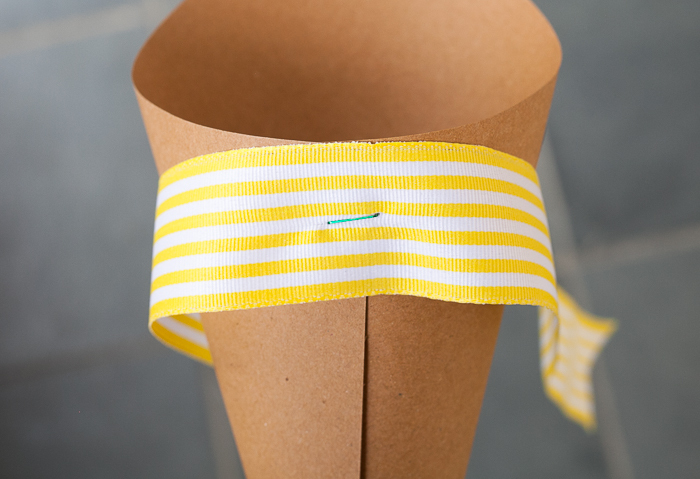 Use a strip of tape to reinforce the top of the cone. Trim tape to the top point and fold the corners behind. Use a hole punch to create a hole for hanging. 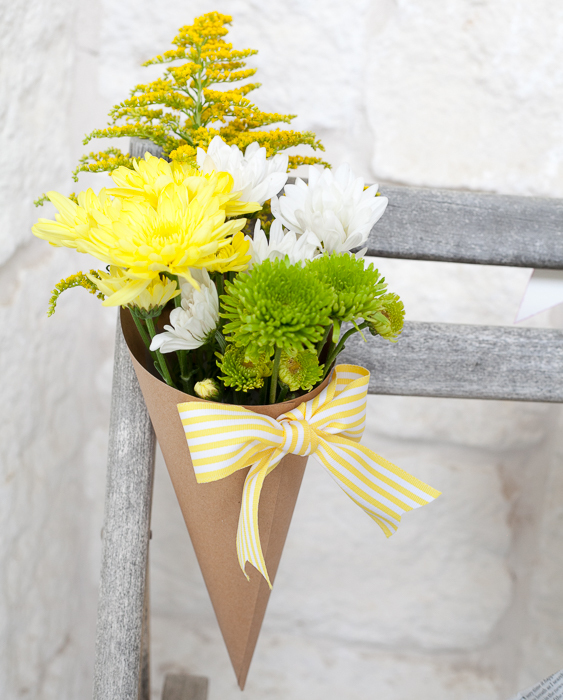 Tie a piece of twine through the hole, add a bit of water to the cone and arrange a few blooms. A sweet anonymous note is the final touch. 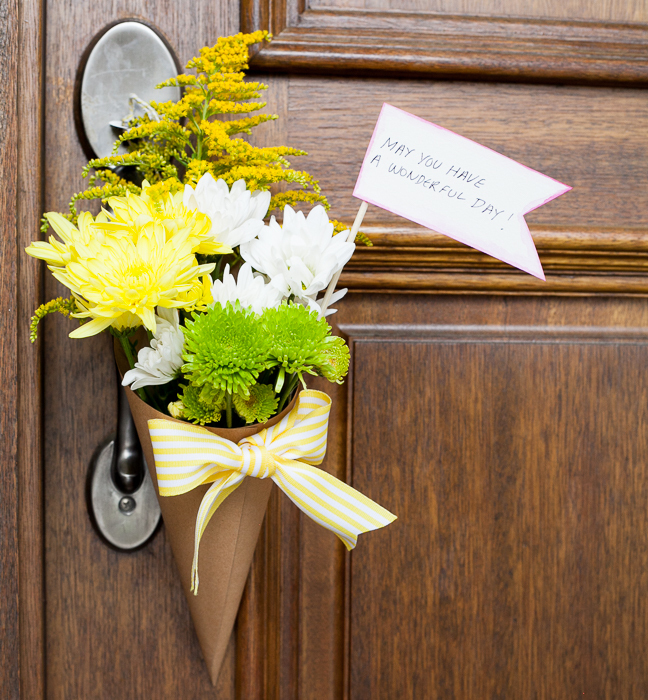 Now sneak up to your favorite neighbors door and leave your sweet smelling surprise for your friends to discover. 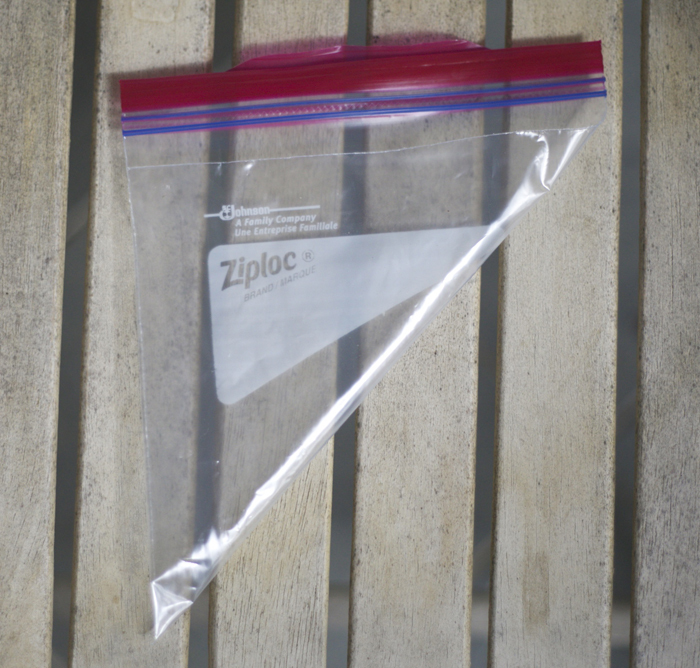 This post is sponsored by Ziploc®. I LOVE this. 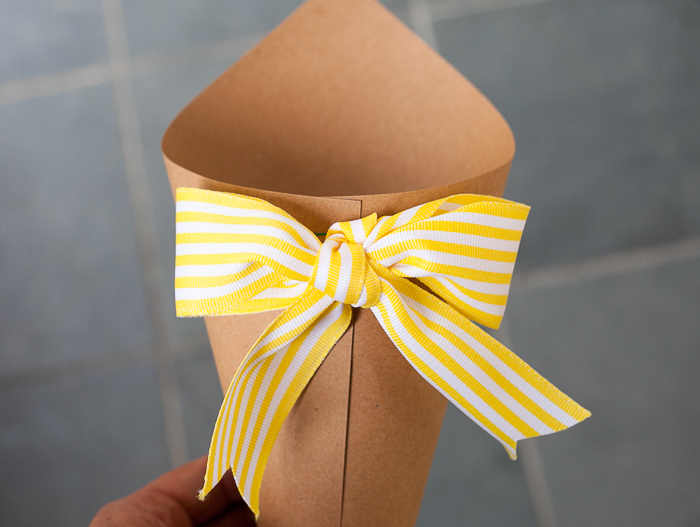 Can you provide a little more detail on how to make the cone please?